Deep Purple created one of the very best live albums with Made In Japan by showing how great songs in the studio could turn into jazz style improvisations with expert musicians having the chance to solo. 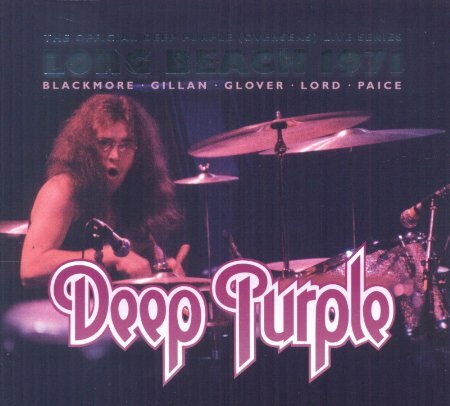 I have to admit that my main interest is in the 1970 to 1976 versions of Deep Purple and what Blackmore, Gillan, Lord, Coverdale, Hughes and Bolin did away from the Deep Purple brand. Please vote in my poll to find out the best Deep Purple live album. Please vote in the poll to find the best hard rock and heavy metal live albums. Because there are so many great hard rock and heavy metal live albums I have split the poll into two and you may find some of your favourites in the second division. Albums will be promoted when they get enough votes. You can get these albums from Amazon.com – Amazon.co.uk. 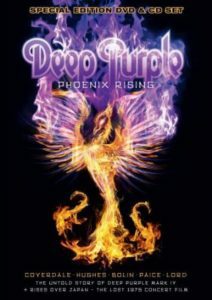 Pete Pardo (from the Sea of Tranquility website) loves Deep Purple. They are his all-time favourite band and the Mark 2 version of the band are responsible for possibly the greatest hard rock live album ever recorded in Made in Japan. Don’t think all you need to hear from Deep Purple happened between 1970 and 1973 either. Deep Purple marks 3 and 4 also had plenty to offer fans of hard rock and the revival band is also highly skilled, even if they don’t have the same flair to go away from the studio albums. 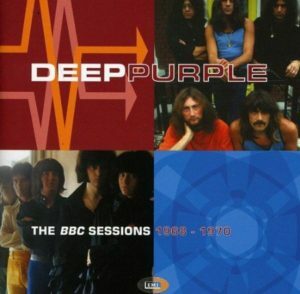 The BBC Sessions 1968–1970 is a compilation of live in the studio recordings by Deep Purple. Phoenix Rising is a CD and DVD combination where the DVD has the film Rises Over Japan and the CD compiles tracks from This Time Around: Live In Tokyo and On The Wings Of A Russian Foxbat. Longbeach Arena in Los Angeles on 27 February 1976. 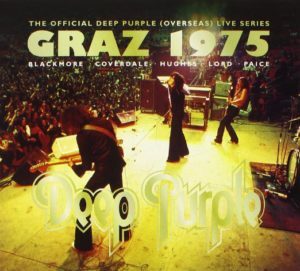 Graz 1975 is a live album by Deep Purple. It was recorded at the Liebenauer ice rink, on the outskirts of Graz on April 3, 1975 and is the third from last concert before Ritchie Blackmore left the band. 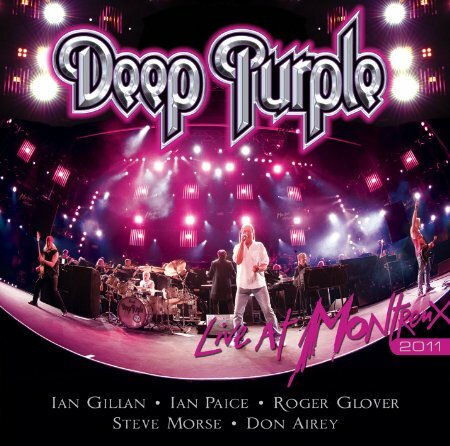 Live at Montreux 2011 is a live album and DVD by Deep Purple backed by a full orchestra. At this stage the band included Ian Gillan, Steve Morse, Don Airey, Roger Glover and Ian Paice. 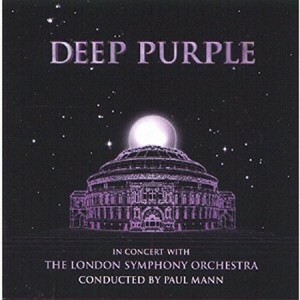 In Concert With The London Symphony Orchestra Conducted By Paul Mann Live at the Royal Albert Hall is a live album by Deep Purple. It was recorded in London on the 25th & 26th September 1999. 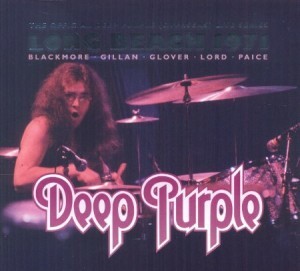 Long Beach 1971 is an archive releasded live album by Deep Purple Mark II. It was recorded at the Long Beach Arena in Long Beach, California on July 30, 1971 while the band were supporting Rod Stewart & The Faces. It was broadcast on KUSE 91.5 FM radio. I’d love to think that The Faces concert would also be released some time. 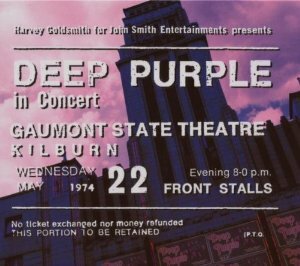 Live In London is a live album by Deep Purple Mark III on the tour to promote the Burn studio album. It was recorded at Gaumont State Theatre, Kilburn, London on 22 May 1974 and broadcast on the BBC but it was not released until 1982. The 2007 remaster added one extra song, a 30+ minute version of Spacetruckin’. 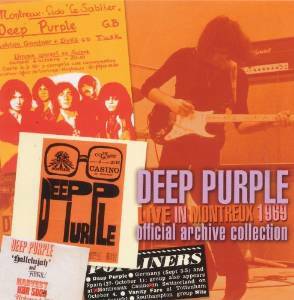 Deep Purple Live in Montreux 1969 is a live album by Deep Purple recorded on the 4th October 1969 at the Montreux Casino that burnt down in 1971 and provided the song Smoke On The Water. 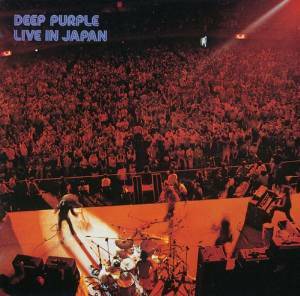 Live In Japan is a live album by Deep Purple. Made In Japan is considered to be one of the all-time classic live albums by any hard rock or heavy metal group. So what could be better? How about recordings of all three concerts played in Japan at the Festival Hall, Osaka on the 15 and 16 August 1972 and at the Budokan in Tokyo on the 17 August 1972. What’s On My Live Albums Blog? I use an Amazon plugin to bring in reviews and the average star rating. I’m sorry but it has started to work inconsistently and I haven’t worked out why. The purpose of this website is to help you to find and buy the best live recordings by the great groups and artists who have created them. My aim is to show off the particular qualities of the music and not to offend. I use affiliate links to Amazon, iTunes, eBay and Wolfgang Vaults. This means I will earn a small commission on any purchase. It helps to pay for the cost of the Best Live Albums blog. To go to the websites, please CLICK on the logos. I have included videos that are posted on YouTube. If you are the copyright holder, these will automatically disappear if you complain to YouTube. I will also take them down independently if you email me at paul@plancs.co.uk. If I accidentally promote any illegal recordings please tell me and I will take them down. This does not include recordings out of copyright.